Agreement means this agreement and constitutes the entire understanding between the Company and the Customer with respect to the subject matter of this Agreement and supersedes all prior Agreements, negotiations and discussions between the parties relating to it unless agreed otherwise in writing between the parties. Customer means the person, firm or corporate body together with any company which is related to the Customer within the meaning of Section 599 of the Companies Act 2014 that the Company provides the Services to. Normal Business hours means 09.00 to 17.00 local Irish time, each Business Day. These are the hours that support will be provided in. Services mean both offline training workshops and online video training. User means an individual customer or individual person employed by a corporate body who accesses the Services. User Licence means a single licence to access the online training videos for use by no more than one User. For the avoidance of doubt User Licences must not be shared under any circumstances. They may be transferred only when approved and actioned by the Company. You means the User and/or the Customer. Your means the User’s and/or Customer’s. 2.1 Please read carefully these terms and conditions (“Terms and Conditions”) before using the Website. By accessing, using or downloading material from the Website, you agree to be bound by these Terms and Conditions. You confirm that you are of sufficient age to lawfully use the Website, enter into a contract and to create binding legal obligations for any liability you may incur as a result of your use of the Website. The Customer hereby agrees to make payment in respect of the use of the Services and all Products its User/s purchase through the Services. If you do not agree to these Terms and Conditions, please do not use this Website. 2.2 Please note that the Terms and Conditions may vary from time to time without notice to you and that your continued use of the Website and/or the Services following such change constitutes your acceptance of the new Terms and Conditions. You should check these Terms and Conditions for any changes each time you access the Website and we recommend that you print off a copy of these Terms and Conditions as and when payments for the Services are made. 2.3	The Website contains information, including, without limitation, all text, graphics, photographs, graphs, sounds, data, images, audio, video, page headers, software (including HTML and other scripts), buttons, and other icons, and the arrangement and compilation of this information (collectively, the “Information”) that is either owned or licensed by the Website provider. 2.4	Use of the Services require compatible devices, internet access and certain software (fees may apply); may require periodic updates; and may be affected by the performance of these factors. High speed internet access is strongly recommended for regular use and is required for video. The latest version of required software is recommended to access the Services and may be required for certain transactions or features and to download Products previously purchased from the Services. You agree that meeting these requirements, which may change from time to time, is your responsibility. The Services are not part of any other product or offering, and no purchase or obtaining of any other product shall be construed to represent or guarantee you access to the Services. 2.5 You agree to provide accurate and complete information when you register with, and as you use, the Services (“Registration Data”) in order to allow the Company to provide the Services and retain records relating to same and to this end, you agree to update your Registration Data to keep it accurate and complete. You agree that the Company may store and use the Registration Data you provide for use in maintaining and billing payment to your account. 2.6 Portions of the Website may be made available only to persons who have registered and who have been issued a username and/or password or other positive identifiers by the Website provider. Only registered Users are authorised to access the restricted portions of the Website. Your use of the Website and access to the information contained therein is expressly conditioned upon your agreement that all such access and use shall be governed by all the terms and conditions set forth in these Terms and Conditions. 3.1 A hyperlink to these terms and conditions is prominently displayed at the bottom of the Website homepage. A further link is provided immediately prior to payment. 4.1 To use some of the Services or features on the Website, you will need to register and provide various personal details. As part of the registration process you will create a user name and password. Your username will be your e-mail address. The Customer will ensure Users are either the Customer himself/herself, their employees or agents and that each user has a unique login. You must ensure that you keep your user name and password in a safe and secure place and that you do not disclose them to anyone as you will be fully responsible for all activities which occur under your user name and password. Furthermore the Customer acknowledges that sharing User Licences will be deemed as a material breach of this Agreement which is not capable of remedy. 4.2 It is your responsibility to immediately notify us of any unauthorised use of your user name and password or any other breach of security as soon as you become aware of it. You must also inform the Company immediately upon an existing user leaving the Customer’s business, and a new employee wanting to use the account. The account should not be shared or handed over to the new employee until the Company re-allocates and transfers the account to the new employee and creates them as a User. 4.3 When you use the Services or send e-mails to us, you are communicating with us electronically. We will communicate with you by e-mail or by posting notices on the Website. For contractual purposes, you consent to receive communications from us electronically and you agree that all agreements, notices, disclosures and other communications that we provide to you electronically satisfy any legal requirement that such communications be in writing, unless mandatory applicable laws specifically require a different form of communication. 5.1 The payment options are prominently displayed on the Website. All amounts stated or referred to in this Agreement shall be payable in Euro unless otherwise invoiced. On making a payment through the Website, you will be required to submit your credit card information to us in order to pay. We also accept payment by invoice and credit transfer. Customers paying by invoice or credit transfer will enter into a yearly subscription. Customers wishing to pay by invoice or credit transfer can fill out a form which is available on the Website or they can telephone or email the Company. If Customers are paying via credit transfer, the payment must be received within 10 days or the Services will be discontinued. 5.2 When a booking is confirmed we will issue the booking confirmation. 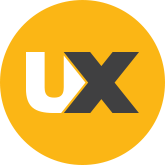 The reference numbers included on the booking confirmation should be quoted in all enquiries, cancellation or modification of the booking when you need to contact UXTraining. 5.3 Prices for Products offered via the Services may change at any time, and the Services do not provide price protection or refunds in the event of a price reduction or promotional offering. 6.1 You are entitled to a cooling-off period of 14 days which begins on the day that the contract is concluded between Website provider and you, the Customer. In the case of digital content, the cooling-off period expires when the downloading or streaming starts. During the cooling-off period, you can cancel the contract without incurring charges or penalties. 6.2 You must inform the provider of the Website of the decision to cancel in writing by email. There is no requirement to give a reason for cancelling. Upon cancellation, the provider will repay all payments you made within 14 days. (b)	Un-scheduled maintenance performed outside Normal Business Hours, provided that the Company has used reasonable endeavours to give the Customer at least 2 Normal Business Hours’ notice in advance. 7.3 As part of the Services the Company provides online video training and will endeavour, where it is practicable to do so, to provide on an annual basis new content in relation to online video training. 7.4	Certain Products and Services available via the Service may include materials from third parties. The Company may provide links to third-party websites as a convenience to you. You agree that the Company is not responsible for examining or evaluating the content or accuracy and the Company does not warrant and will not have any liability or responsibility for any third-party materials or websites, or for any other materials, products, or services of third parties. You agree that you will not use any third-party materials in a manner that would infringe or violate the rights of any other party and that the Company is not in any way responsible for any such use by you. 8.1 In relation to offline training workshops, bookings can only be cancelled in writing by email. 8.2 In relation to offline training workshops, cancellations within 10 working days of the training start date will be charged the full course fee. Cancellations within 11 – 20 working days of the training start date will be charged 50% of the course fee. Cancellations within 21 – 28 working days of the training start date will be charged 25% of the course fee. Cancellations more than 28 working days in advance of the course will incur no charge. Following commencement of the offline training workshop, there will be no refund. 8.3 In relation to online video training, following commencement of the Service, there is no cancellation policy. One-time payment plan - following commencement of the Service, you will receive access to the Service for 12 months. There is no cancellation policy. 8.4 As provided for in Clause 5.1 if You are paying by invoice/credit transfer You enter into a yearly subscription. If You terminate You are not entitled to receive a refund. 9.1 The Website provider grants you a worldwide, non-exclusive and non-transferable right to use the Website. You may view, and print word documents and portable document formats (PDF’s) incorporated into the Website solely for your personal, non-commercial use. Downloading video material is strictly forbidden and will result in termination of the Customer’s subscription. The information may not be transferred, shared with or disseminated with anyone for any purpose that is inconsistent with the purpose of the Website, to facilitate unfair competition with the Website, or for any purpose that is inappropriate or unlawful under Irish law and international law. 9.2 You may not resell, redistribute, broadcast or transfer information or use the information in a searchable, machine readable database or file except through the authorised access to the Website. Unless separately and specifically authorised in writing by the provider of Website, you may not rent, lease, sublicence, distribute, transfer, copy, reproduce, publicly display, publish, adapt, modify, create derivative works, store or time-share the Website, any part thereof, or any of the Information received or accessed therefrom to or through any other person or entity. 9.3 You agree to use the Website and information for lawful purposes only. You agree not to post or transmit any information through the Website or associated websites which (a) infringes the rights of others or violates their privacy or publicity rights, (ii) is unlawful, threatening, abusive, defamatory, libellous, vulgar, obscene, profane, indecent or otherwise objectionable, (c) is protected by copyright, trademark or other proprietary right without express written permission of the owner of such right, (d) contains unauthorised or malicious software such as viruses. You shall be solely liable for any damages resulting from your infringement of any copyright, trademark or other proprietary right, or any other harm caused by your use of the Website or information. 10.1 All text, software, music, sound, information, content, photographs, graphics, video, page layouts, logos, design, button icons, images, trademarks, trade names and other material that is contained on the Website or is part of the services, is protected by the laws of copyright, trademarks, database rights, service marks, patents or other proprietary rights under Irish law and international law. 10.2 The Website provider owns or is licensed to use all intellectual property rights (including but without limitation all copyrights, patents, trademarks and trade secrets) in connection with and in all versions of the Website and the Services, the software the provider uses to operate the Website and the Services and any data (including data obtained from you) generated by users of the Website and the Services. The Website is made available for personal use and you are not permitted to change, transfer, copy, store, publish, rent, licence, sell, distribute or create derivative works in any way any of these intellectual property rights. 10.3 If you post content or submit material on the Website, and unless otherwise indicated, you grant us a non-exclusive, royalty-free and fully sub-licensable and transferable rights to use, reproduce, modify, adapt, publish, translate, create derivative works from, distribute, and display the content throughout the world in any media. 11.1 You agree to indemnify and hold the Website provider, its subsidiaries, officers, agents and other partners and employees, harmless from any loss, liability, claim or demand, including reasonable legal fees (including any legal fees incurred in connection therewith), made by any third party due to or arising out of your use of the Website or in contravention of these Terms and Conditions by you. 12.1	Each party agrees and undertakes that during the term of this Agreement and thereafter it shall keep confidential and shall not use for its own purposes, nor without the prior written consent of the other party disclose to any third party, all information of a confidential nature (including, without limitation, information relating to a party’s products, operations, processes, plans or intentions, product information, know-how, design rights, trade secrets and information of commercial value) which may become known to that party from the other party (Confidential Information), unless the information is public knowledge or already known to that party at the time of disclosure or subsequently becomes public knowledge other than by breach of this Agreement or subsequently comes lawfully into the possession of that party from a third party. 12.2	To the extent necessary to implement the provisions of this Agreement, each party may disclose Confidential Information to those of its employees as may be reasonably necessary or desirable, provided that before any such disclosure each party shall make those employees aware of its obligations of confidentiality under this Agreement and shall at all times procure compliance by those employees with them. 13.1	The following provisions set out the entire financial liability of the Company (including any liability for the acts or omissions of its employees, agents and sub-contractors) to the Customer in respect of: (a) any breach of contract; (b) any use made by the Customer of the Services; and (c) any representation, statement or tortuous act or omission (including negligence) arising under or in connection with this Agreement. 13.2. All warranties, conditions and other terms implied by statute or common law are, to the fullest extent permitted by law, excluded from this Agreement. 13.3. Nothing in these conditions excludes the liability of the Company: (a)	for death or personal injury caused by the Supplier’s negligence; or (b) for fraud or fraudulent misrepresentation. 13.4. The Company does not guarantee, represent or warrant that your use of the Services will be uninterrupted or error-free and you agree that from time to time the Company may remove the Services for indefinite periods of time, or cancel the Services at any time, without notice to you. 13.5 The Company shall use reasonable efforts to protect information submitted by you in connection with the Services, but you agree that your submission of such information is at your sole risk and the Company hereby disclaims any and all liability to you for any loss or liability relating to such information in any way. 13.6	The Company shall not be liable for any loss of profits, loss of business, depletion of goodwill or similar losses or pure economic loss or for any special, indirect or consequential loss costs, damages, charges or expenses however arising. 13.7	The Company’s total liability in contract, tort (including negligence or breach of statutory duty), misrepresentation, restitution or otherwise, arising in connection with the performance or contemplated performance of this Agreement is limited to the payment made in respect of the Services..
14.1 You acknowledge and agree that no warranties of any kind are made with respect to the Website or information. Furthermore, you acknowledge that the Information and links provided through the Website are compiled from sources that are beyond the control of the Website provider. Though such information is recognised by the provider to be generally reliable, the provider acknowledges that inaccuracies may occur and the provider does not warrant the accuracy or suitability of the Information. For this reason, you acknowledge that the Website and Information are provided to you on an “as is, with all faults” basis. The Website provider does not warrant that the Website will meet your requirements, will be accurate, or will be uninterrupted or error free. 14.2. You are advised to safeguard important data, to use caution and to not rely in any way on the correct functioning or performance of the Services. 14.3. The contractual rights which you enjoy by virtue of the Sale of Goods Act, 1893 (as amended) and the Sale of Goods and Supply of Services Act, 1980 are in no way prejudiced by anything contained in these terms and conditions, save to the fullest extent permitted by law. 15.1 The failure or delay by the Website provider to exercise or enforce any rights hereunder shall not be deemed to be a waiver of any such right nor operate so as to bar the exercise or enforcement thereof at time or times thereafter. 15.2 The headings used in these Terms and Conditions are for convenience only and shall not affect the meaning or scope of these Terms and Conditions or otherwise be given other legal effect. 15.3 These Terms and Conditions shall be governed by and construed in accordance with the laws of Ireland. You hereby agree that the courts of Ireland shall have exclusive jurisdiction to hear and determine any suit, action or proceedings that may arise out of or in connection with these Terms and Conditions and/or services and for such purposes irrevocably submits to the jurisdiction of such courts. 15.4 You agree that the Website provider shall carry no responsibility for non-fulfilment or delayed fulfilment of the Services owing to force majeure, war, acts of terrorism, riots, civil unrest, intervention by government or public authorizes, fire, strike or lock-out, export and/or import bans, shortage of labour, fuel or power or any other cause beyond the control of us which may delay or impede the Services. 15.5 You agree that no joint venture, partnership, employment, or agency relationship exists between you and the Website provider as a result of these Terms and Conditions or your use of this Website. 15.6 If any part of these Terms and Conditions is determined to be invalid or unenforceable, then the invalid or unenforceable provision shall be deemed to be superseded by any such valid, enforceable provision that most closely matches the intent of the original provision and the remainder of these Terms and Conditions shall continue in effect. 15.8 Any notice or other communication to use in connection with the services shall be in writing and shall be: (a)	delivered by hand or sent by prepaid post to Night Mountain Ltd t/a UXTraining, 17 Thorncliffe Park, Orwell Road, Dublin 14 (b)	sent by email to hello@uxtraining.com; or (c)	to such other address, as is from time to time notified in these Terms.